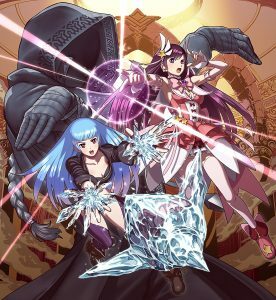 GameReviewPad gives their thoughts on the SNK HEROINES Tag Team Frenzy-Features Trailer. What the Nintendo Wii U lacked in fighting games (Injustice, Super Smash Bros., and Pokken Tournament), the Switch has already in a good fighting game lineup to keep the fighting game enthusiast happy. This trailer shows that this is unlike any other fighter you’ve played. 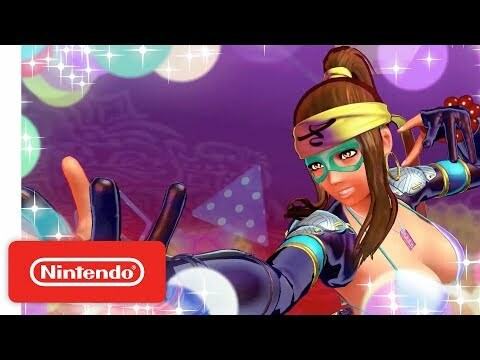 Though the trailer shows this being a 2-on-2 fighter (tag-team fighter), what stands out is how the gameplay is catered to be more friendly to newbies of the genre, while keeping the strategy for veterans. It explains how combos and special moves can be done with a button input instead of the standard command input (down+forward, button for example). When fighting, you will see your partner in the background rooting you on, and the biggest feature that surprised me is that in order to win a match you must do a finisher “Dream Finish.” Not to mention, this game will let you customize your fighter to your heart’s content. I just realized this game seems similar to Arcana Heart 3, and if it is, this will be a fun game to play with people who shy away from fighting games due to the complex gameplay.